Everything you could ever want to know about Dan & Phil. Procrastinating by reading some of these threads and noticed a few things! A lot of links to other threads etc are no longer working (example: the "Read more about Alyssa" link in her bit on "Who's that person?"). Also in "Who's that person? ", under Lightscameraashlee, it mentions Pete being Carrie Fletcher's boyfriend, which needs updating - they split up back this May (she wrote about it on her blog, I think). Onision's bit on the same thread also needs to be updated, as he now has yet another Youtube channel (Onision Reacts). Bryony and Wirrow's bits also don't mention the quartet's most recent escapade to the Med, which could be updated too! As Janice & Sabrina have become regular fixtures in the main thread, might it be worth putting them in the glossary? alittledizzy wrote: Someone started a rumor in phandom in January that Phil was married and his wife was pregnant. I think it's one of those things where someone made a blog ("phangate") about how Knew it was Totally Real. Dan and Phil both got questions on younow about it, and both answered. When Dan answered he said Phil's wife's name was Sabrina, when Phil answered he used Janice. Thanks for catching these! These should be all set now. I also updated every other potentially broken link in that thread, but let me know if you catch anymore. We're still working on fixing all the others. Done and done. Thanks for providing the video. 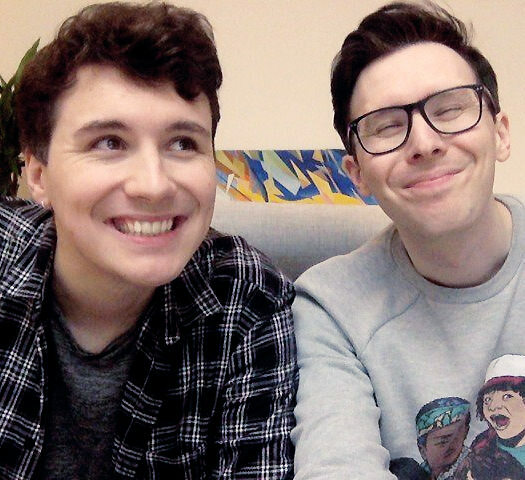 hi, not particularly important BUT i read the post on the dan and phil brand (including dan on the right/phil on the left) a couple weeks before tour started so it really stuck out to me that they started both the witl and the joint liveshow before tour with dan on the left. obviously the post doesn't state that they've NEVER started a video with dan on the left but i thought it might be interesting to point out that recently they might be not as dedicated to that. Hey! Was going through the drug deal doc and noticed that the Men Vs Women link no longer works? I know Dan deleted the video but I'm not sure when, probably early 2017. There's a copy on YouTube uploaded by Dil Howlter, could that work as a replacement? I've already sent an email to the given address but I"m not sure if that address is stil valid, so I'm making a post just to be sure. I wrote a nice post and apparently took too long and got logged out and it vanished, so this is the quick/dirty version from my notes. Some of these might be a stretch or I might've missed ones that are already there. Sorry guys, I promise it was better before, but I hit back and it still wasn't there. 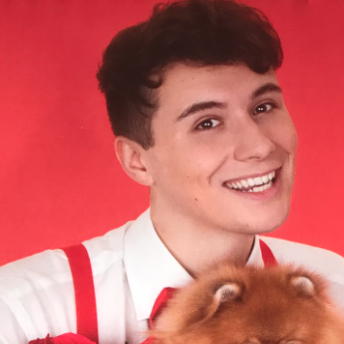 I'm figuring we're not counting all the references to Dan's ex, or to Phil's brief "girlfriends"? 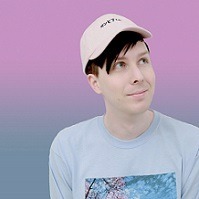 What about early Phil being flirty in non-gendered ways, or Dan's Tinder vid including men and women? Talking about Adam “like he’s my lover”? Phollie? I'm not sure how wide the net should go but I'm cutting myself off here for now. In https://www.youtube.com/watch?v=pI6EEUWYw1I, Phil insinuates kissing his Buffy cutout and talks about the height difference "ruining it" for him. Timothee Chalamet is "who [Phil] want[s] to look at"
Dan's Tinder vid including men and women? Came here to suggest adding this as well. I couldn't find this before, but in terms of sexuality/attraction, Phil saying he was "kind of a little bit in love with" lonelygirl15 .